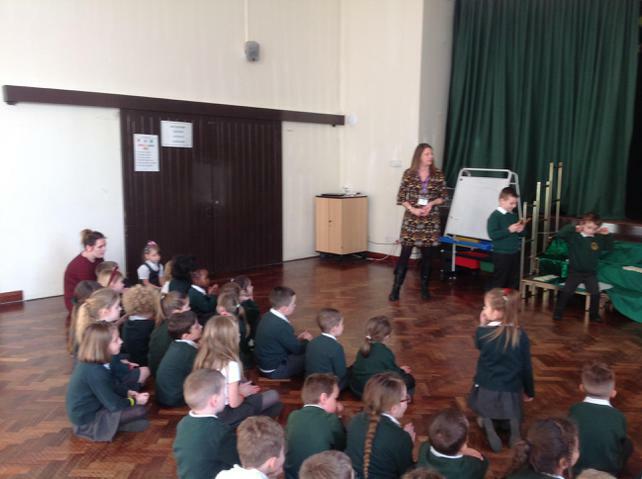 We have been working hard to create sentences using correct punctuation as it is so important to crack the basics in our writing. 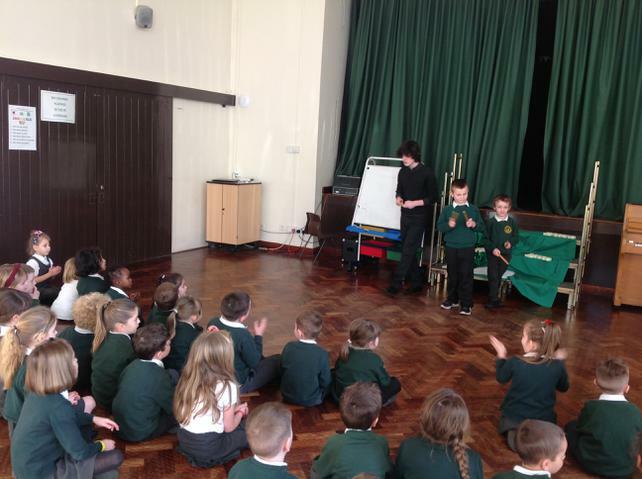 To support independent writing I sent some interesting books home with each child to help encourage them to share stories. 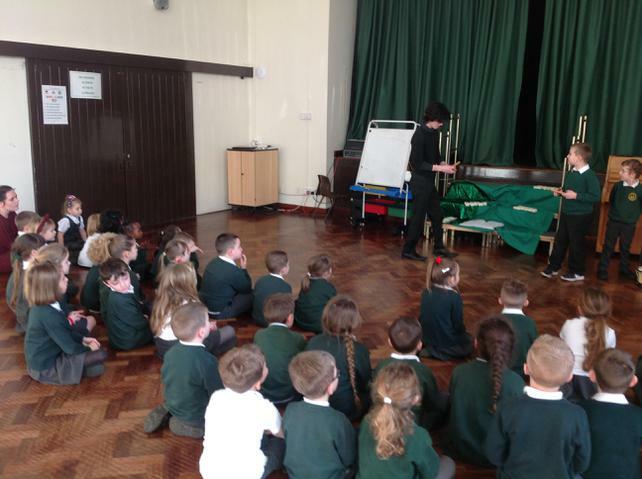 The local PCOS came to talk with us about being safe! 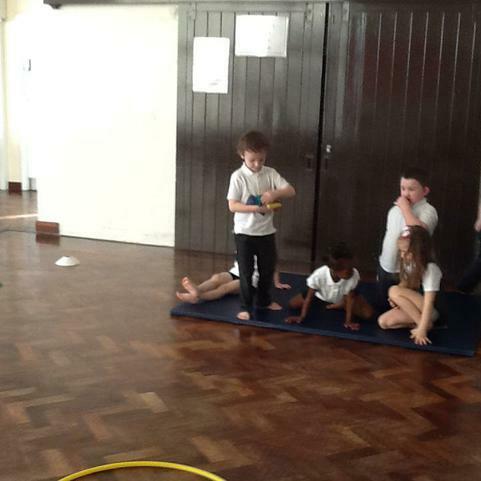 Please continue to support your children with their homework as it is an ideal way to find out what they have been learning in school but also an opportunity for your child to consolidate and practise their skills. 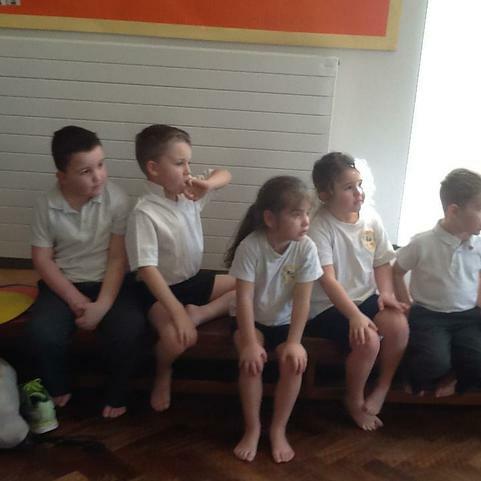 What a fabulous week, it was lovely to see so many of you at our class assembly, we have been working hard on our class story 'Peace at Last'. 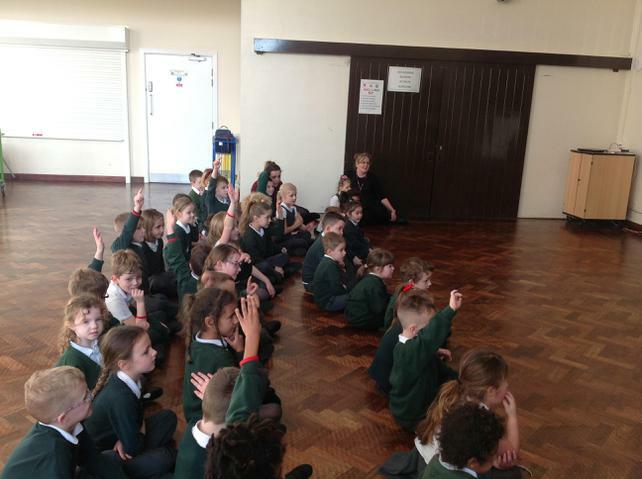 As part of this topic during our buddy time with class 5 we used Purple Mash to create pictures with 2paint. 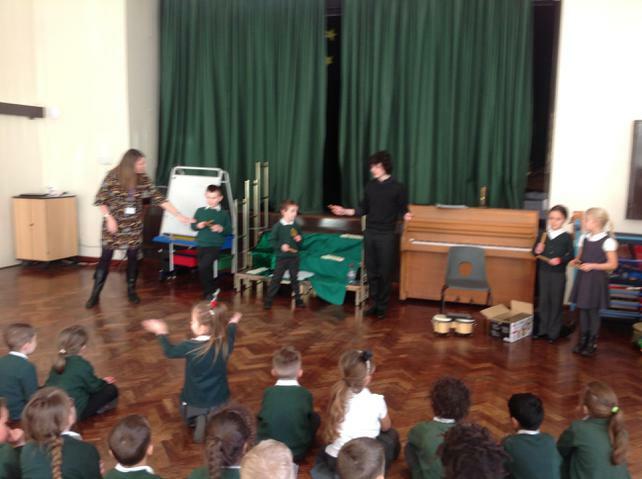 We have really enjoyed our topic 'What's that Sound?' 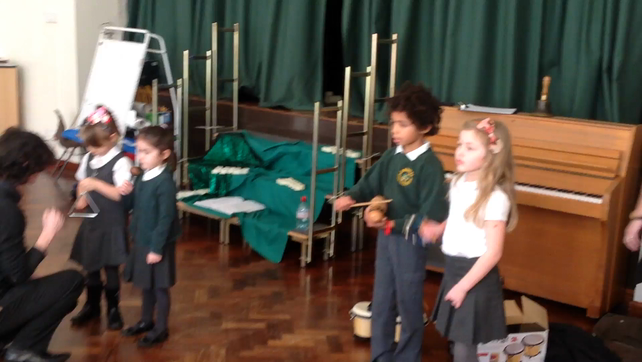 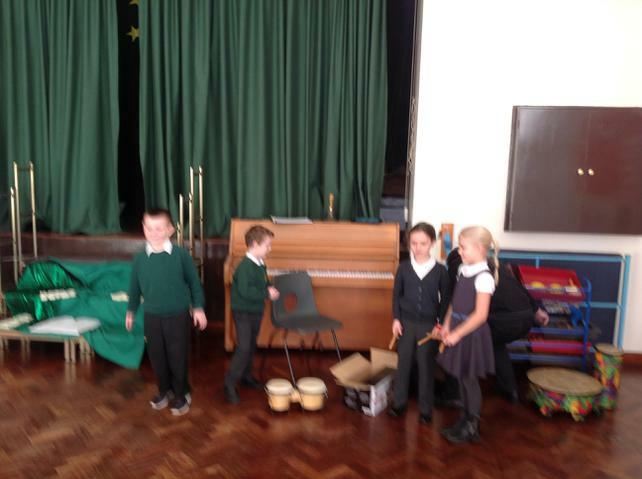 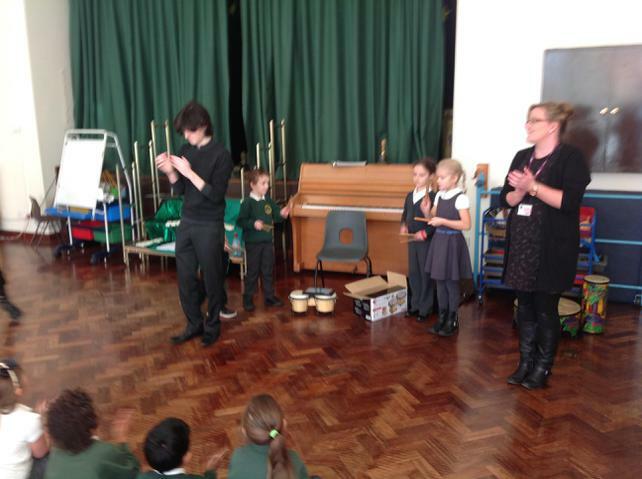 and many children have enjoyed using the instruments to create tunes and rhythms. 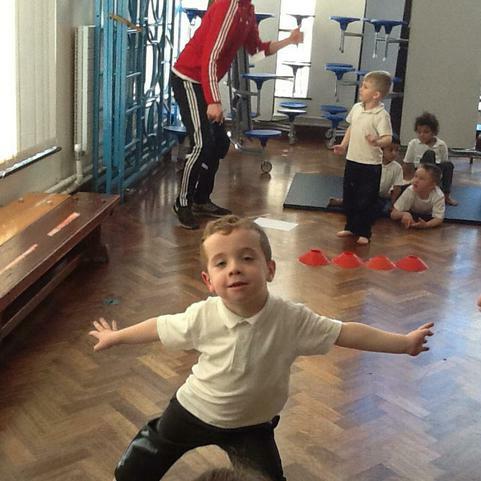 Don't forget each child has a personal log in to Purple Mash in their planner so do try it out and let us know what you think! 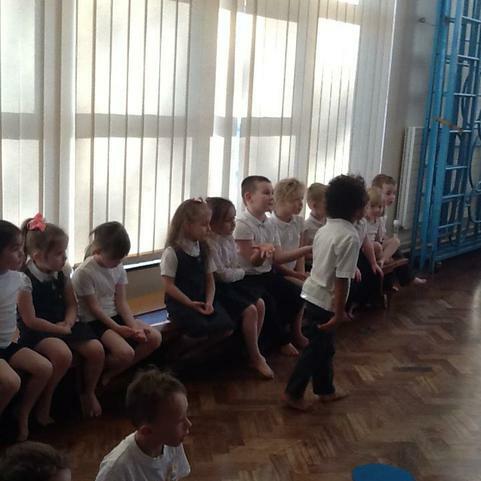 Another busy week in class 1! 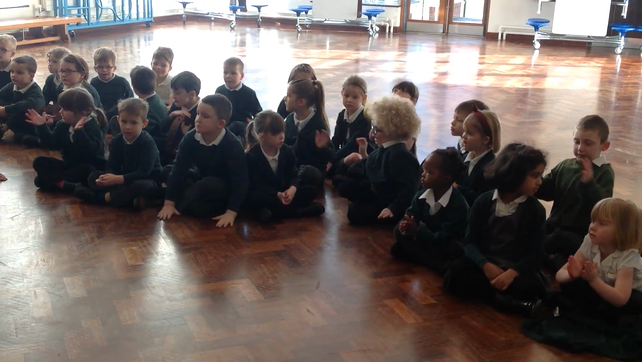 The children in Class 1 were so lucky to have a talented musician visit us this morning to teach us rhythms and lead us in a popular song from Frozen- obviously we all knew the words! 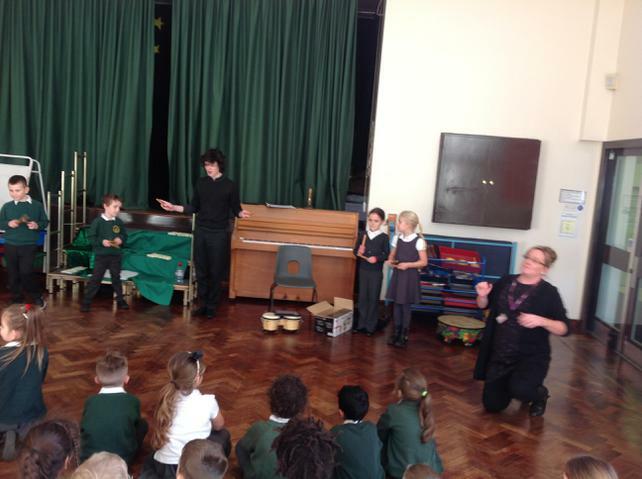 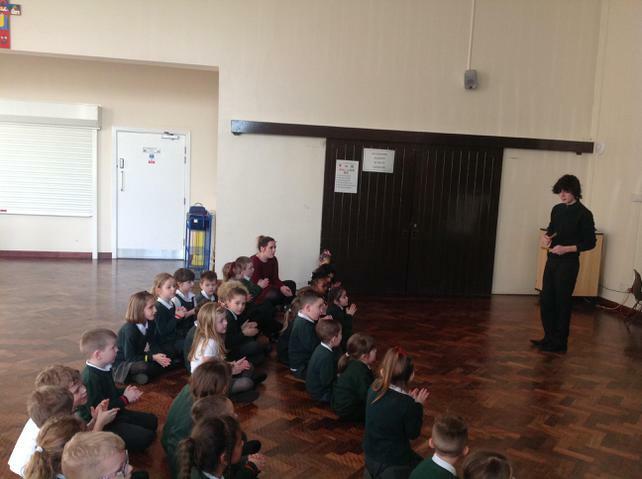 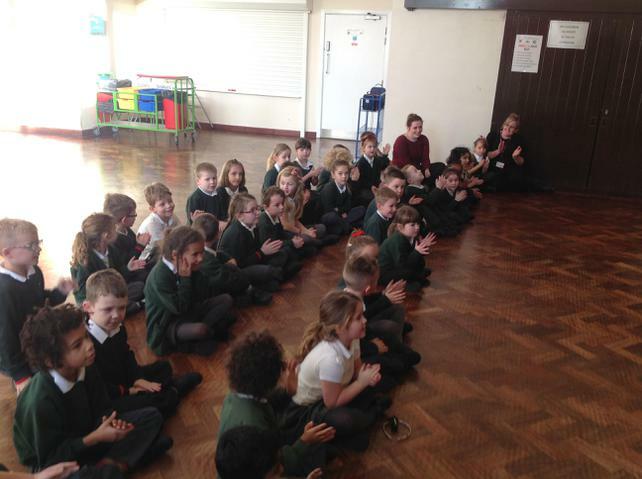 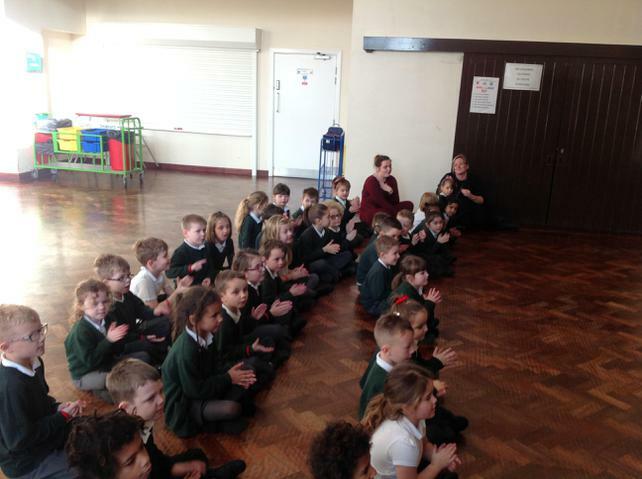 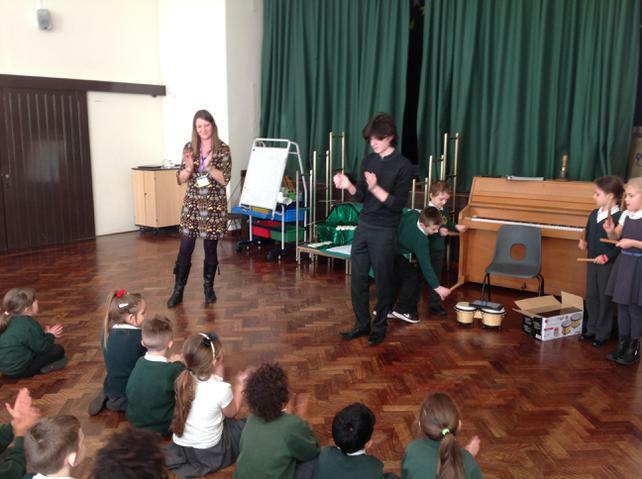 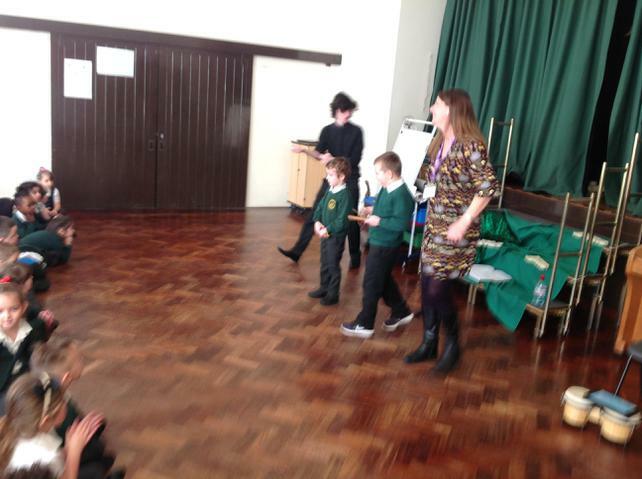 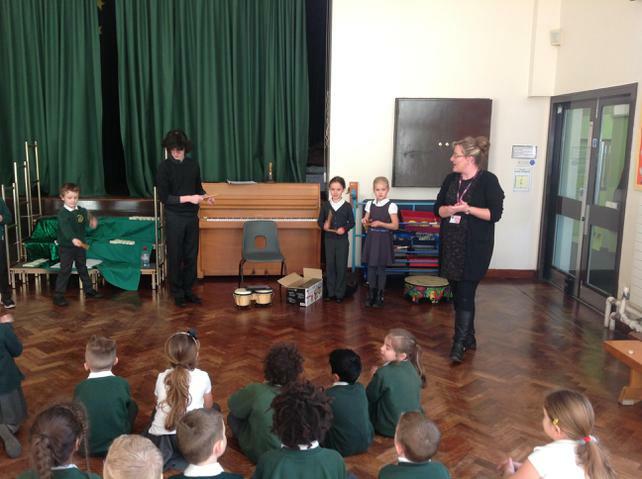 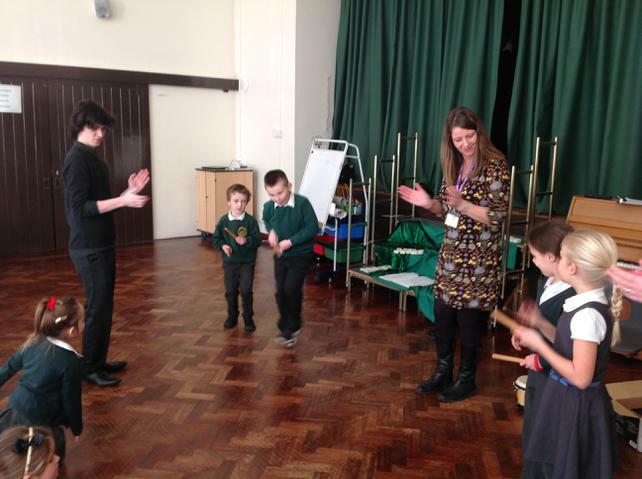 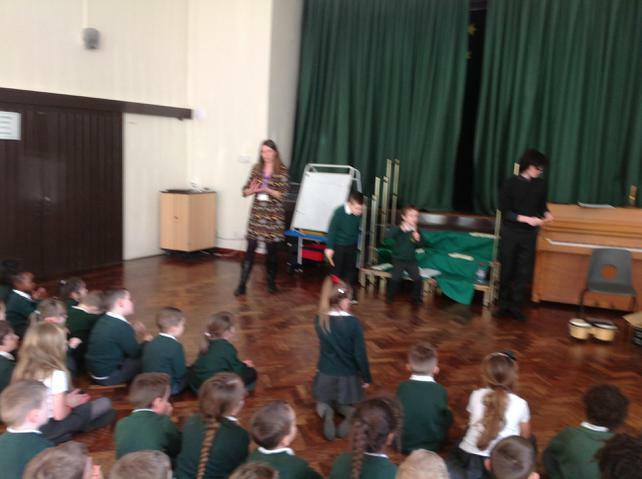 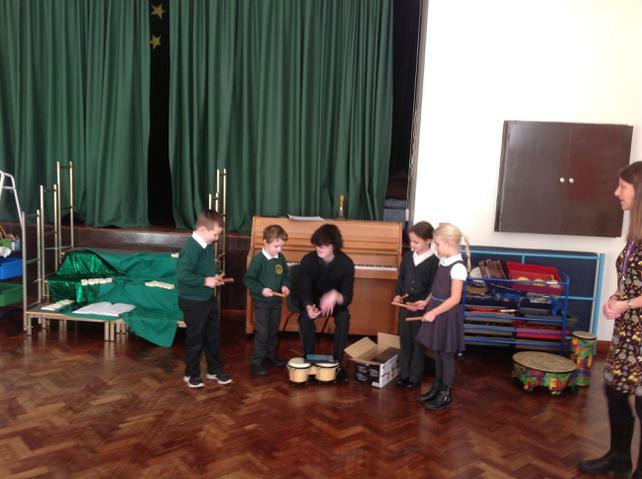 What a super week Class 1 have enjoyed a special musical visitor, Callum, who has helped us learn interesting rhythms! 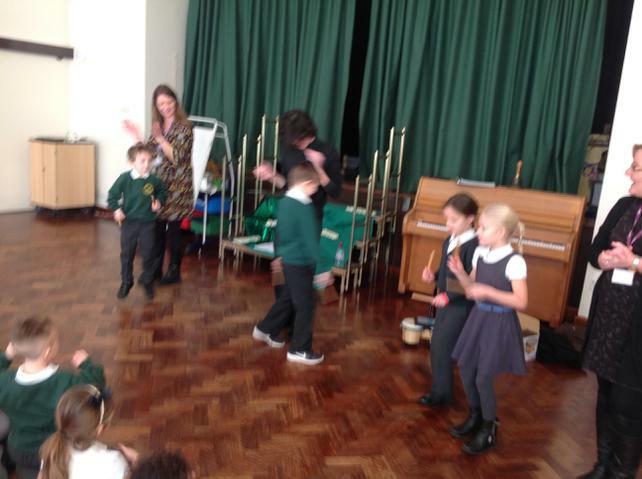 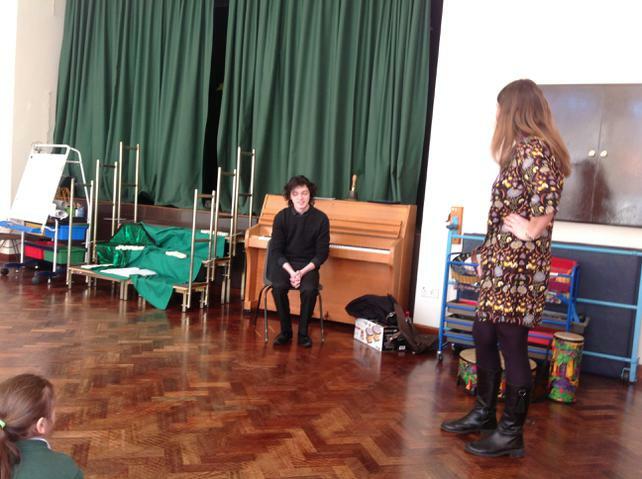 I wonder if you can guess which famous rhythm we were working hard to master. 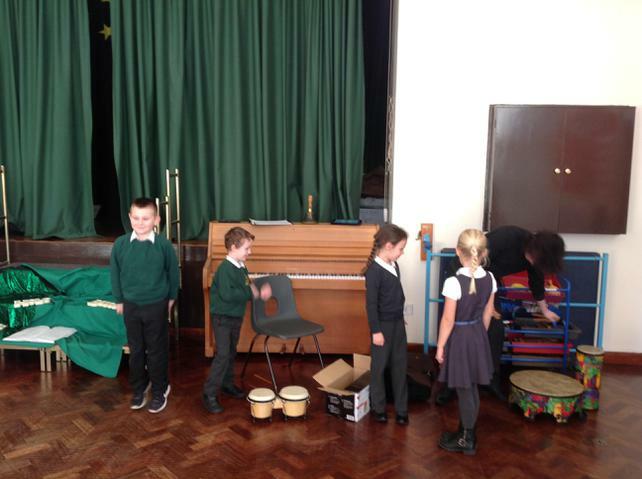 We have been working hard this week and have used all our creative workshop resources! 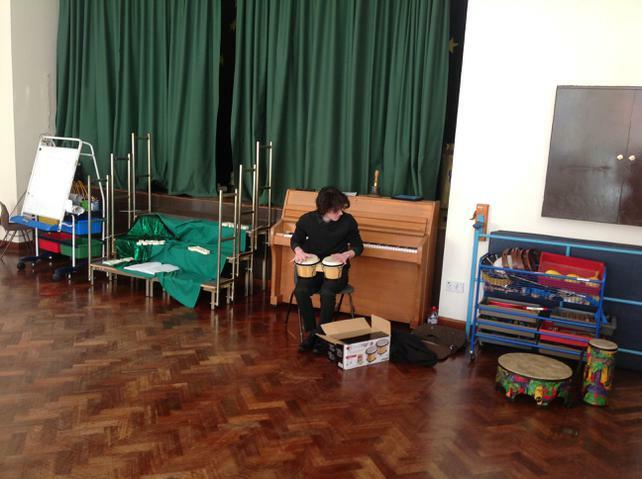 Should you have any tubes or pots they would be welcome. 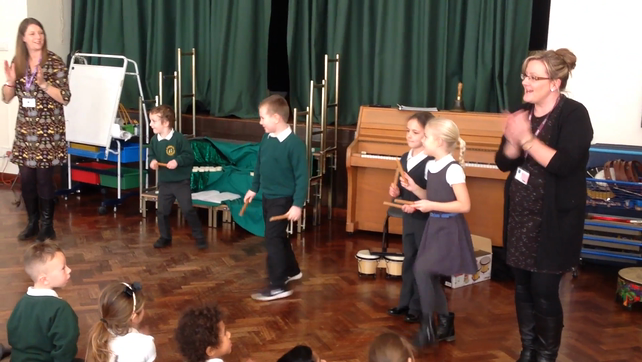 We are also going to be creating a 'Pots and Pans' band outside so if you have any old pans, metal lids or trays please could you add them to our collection outside the classroom door. 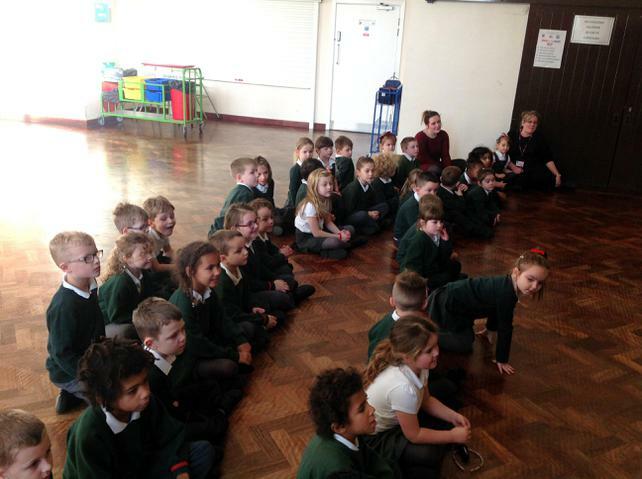 Our literacy text was a rhyming book about sounds underground and we are writing our own poems about sounds above the ground. 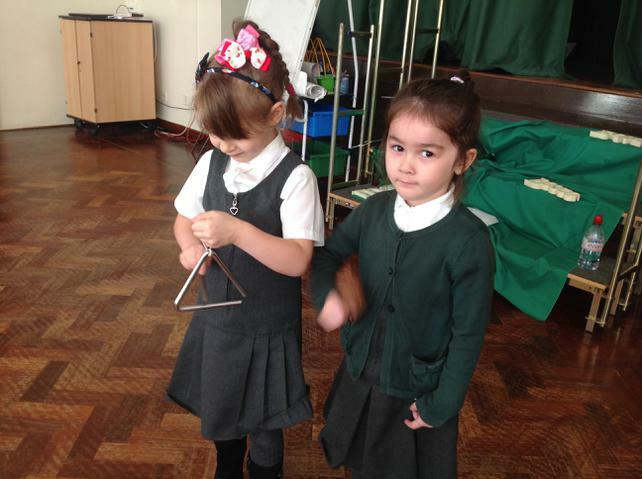 Please talk with your child about sounds they can hear around them. 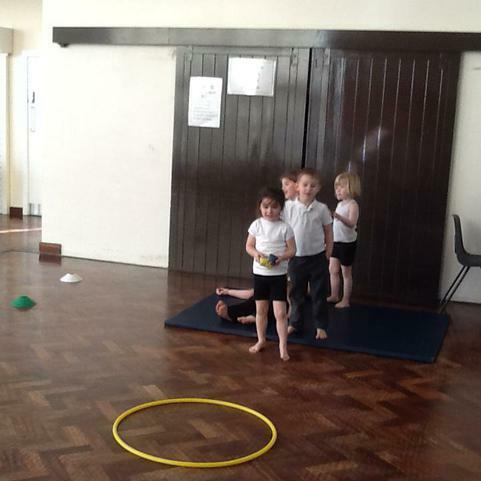 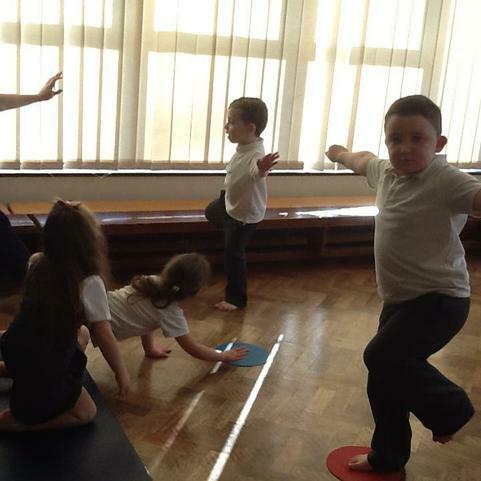 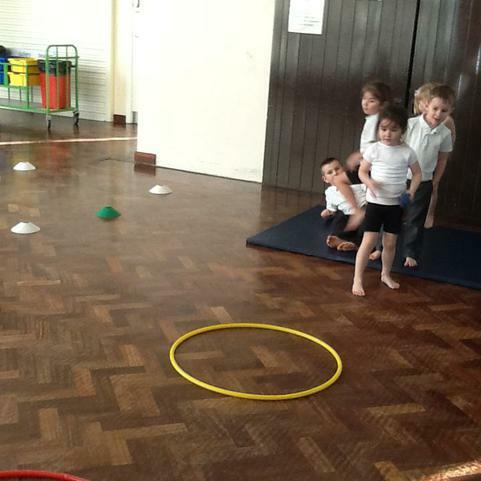 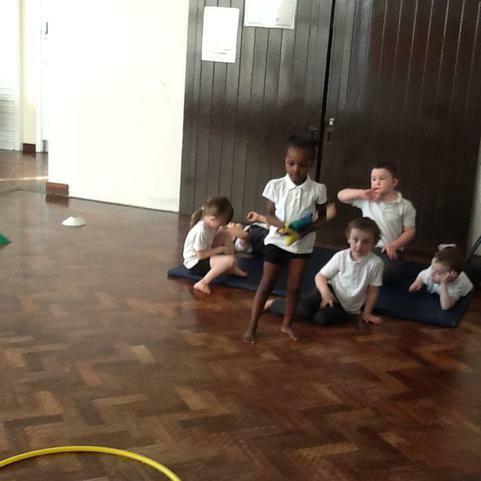 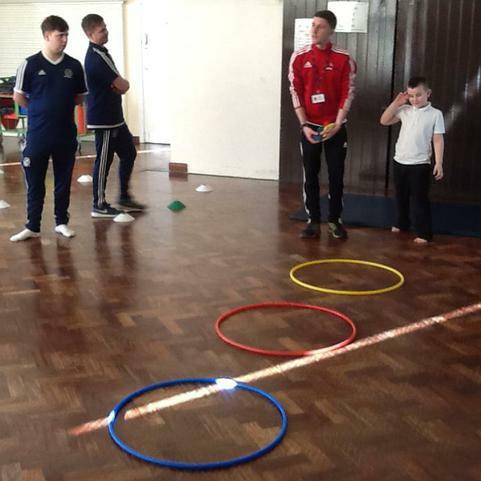 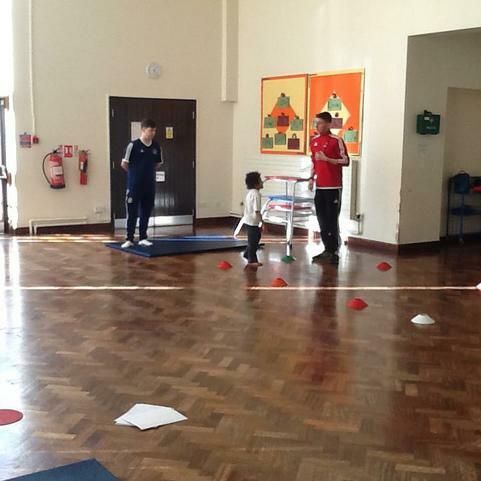 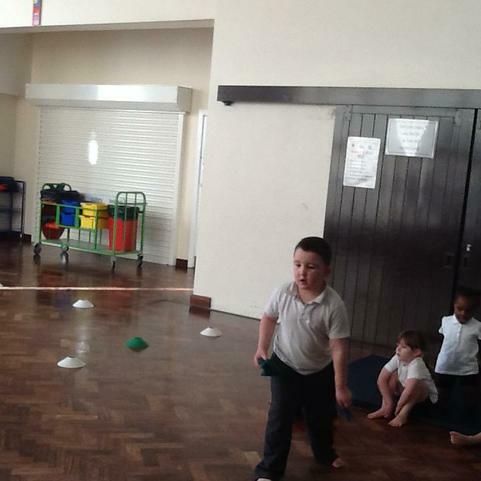 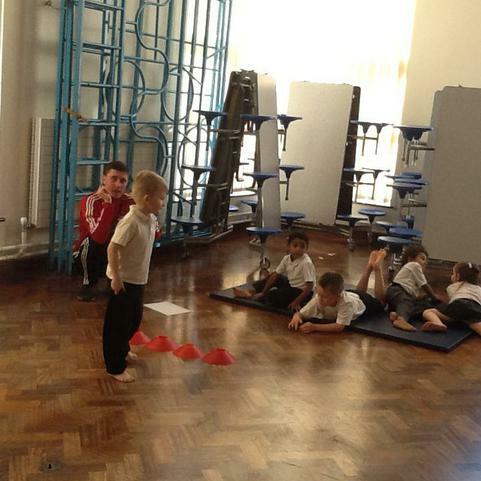 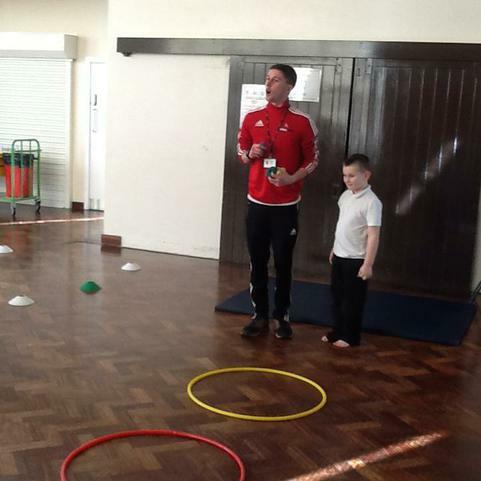 Class 1 enjoyed a competative P.E lesson. 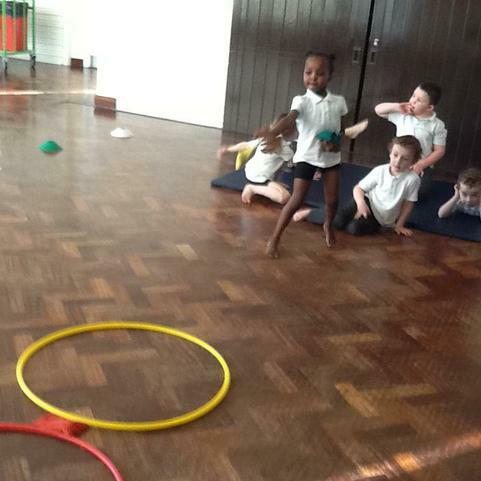 We tried hard to balance on one leg for as long as possible and to throw bean bags into hoops! 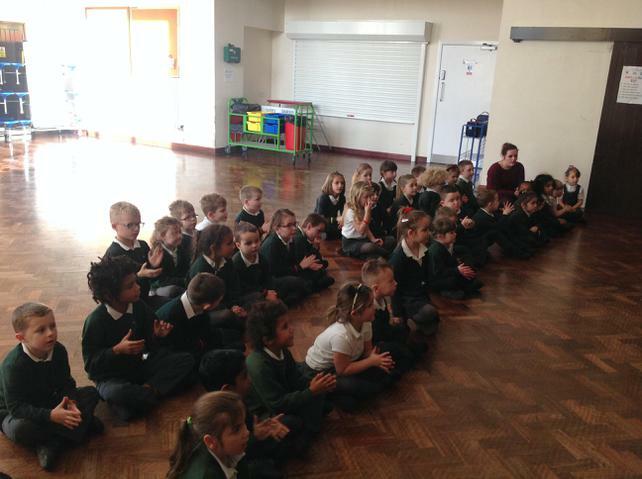 Another fun week with class 1! 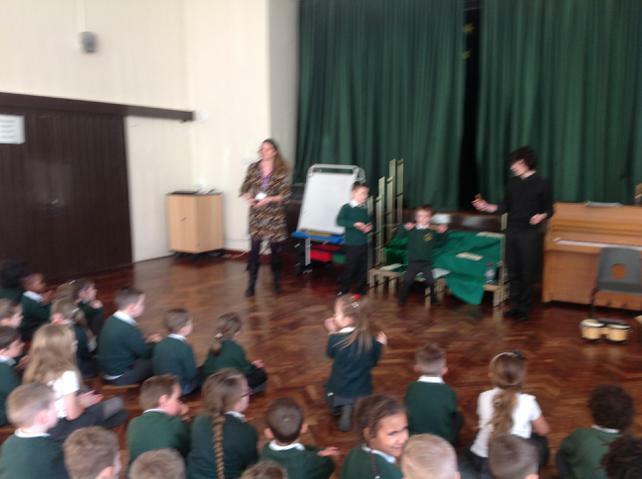 Please continue to read regularly with your child and complete activities with tricky words! 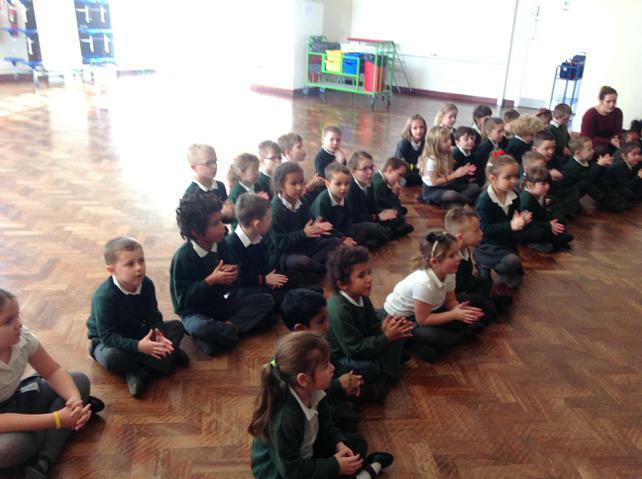 Class 1 have enjoyed writing - and not just in the mark making area! 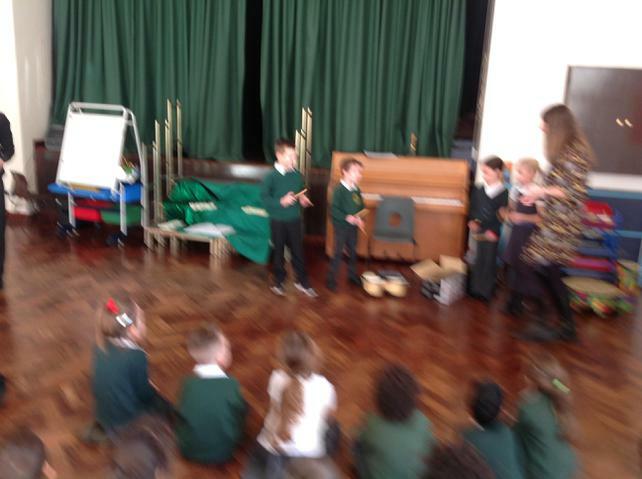 This week we have been sharing stories with a rhyming pattern. 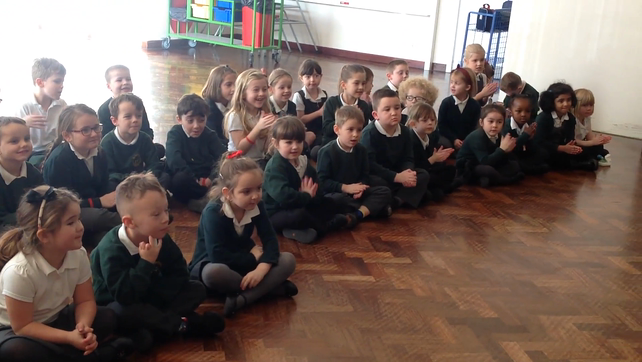 We began our topic 'What's That Sound?' 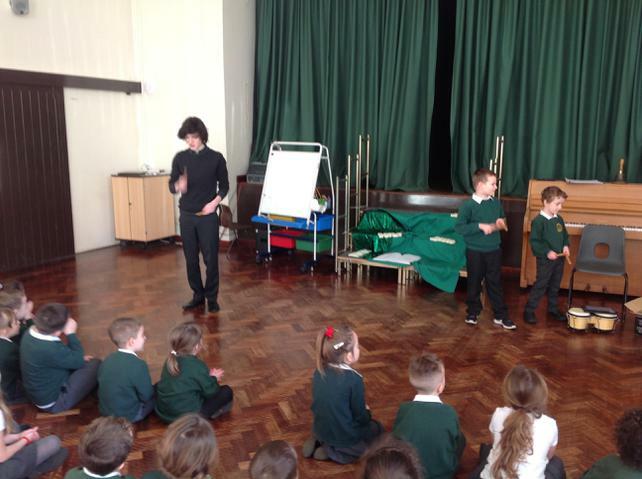 with a listening walk around the school grounds.